Our Junior program has been involved with providing after-school programs in the public school system since 1995 and have worked in over 275 schools in the City. Check out a video that we made at a recent junior event. We also run camps and clinics at various locations over the holiday and summer periods. For a list of upcoming youth events visit our news pages. Play Study Win is the official soccer organization for the NYC Dept. of Education’s CHAMPS program. Our top-quality coaching and officiating staff has hundreds of hours of experience at providing the highest levels of instruction. 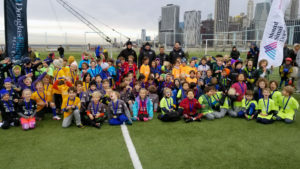 Together with Eastern NY Youth Soccer, MetroSoccer NY has trained over 250 coaches in nationally recognized coaching certificates. 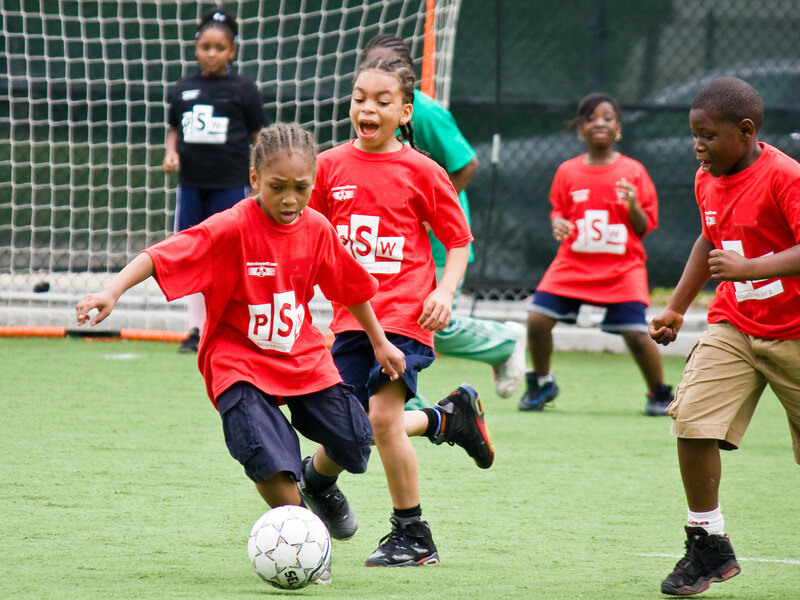 We estimate that we have coached almost 10,000 children from urban and inner-city areas in the Beautiful Game. For many of these children, this is the first experience of – not only soccer – but of organized sports of any kind, and we take this responsibility very seriously! We are always looking for good instructors to add to our list of coaches. You must be available weekday afternoons. These are paid coaches positions. You will also be fingerprinted by the NYC Dept. of Education for clearance to work in the schools. If you are interested, please email us at info@playstudywin.org. 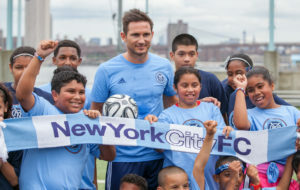 Children from one of the PSW schools welcome Frank Lampard to NYC FC, ENYYSA.